KOZELJNIK "Bitter Libations to the Unnamed"
Morgan Lander has confirmed that KITTIE hasn’t written any new music in more than six years. After the London, Ontario, Canada-based band completed the touring cycle for 2011’s “I’ve Failed You” album, KITTIE entered a long period of inactivity during which the guitarist/vocalist focused on a marketing job for a chain of fitness clubs, while her sister, drummer Mercedes Lander, worked in real estate. 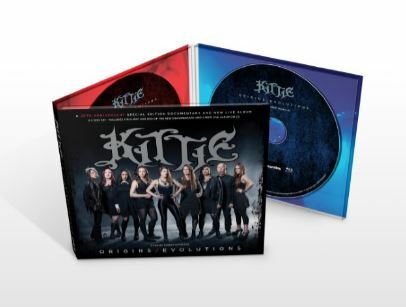 The group also began work on a career-spanning documentary, “Origins/Evolutions”, which will finally see the light of day on March 30 via Lightyear Entertainment in North America. The three-disc set, which was directed by Rob McCallum, includes a Blu-ray and DVD of the documentary as well as a new live album on CD. 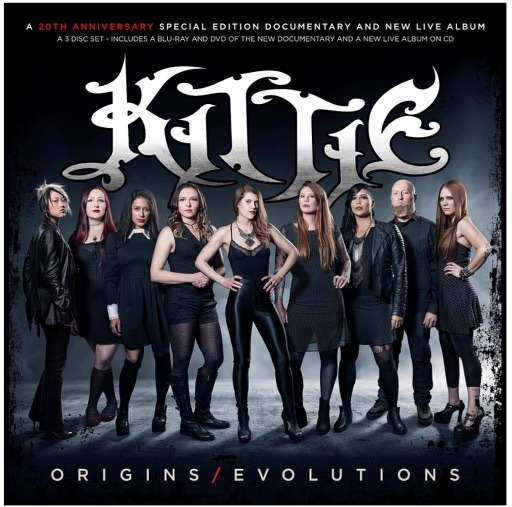 Last October, KITTIE celebrated the “Origins/Evolutions” premiere by bringing together some of its former members for a special concert at Rum Runners in London, Ontario. The event marked the band’s first live appearance since the death of KITTIE bassist Trish Doan (a.k.a. Trisha Jai-Mee Doan), who passed away a year ago at the age of 31. “I’ve Failed You” sold 3,000 copies in the United States in its first week of release to debut at position No. 178 on The Billboard 200 chart.